It has been interesting to ponder this article about life in Santa Barbara. There are so many things to write about. The bliss of living in a place that is near weather perfect year round. The sheer beauty of the city and surrounding hills. The subtle texture of living by the ocean. What it feels like to walk on the beach and look out over the harbor in the morning. The amazing arts and music scene seldom found in a town of 80,000. However, you’ve probably read out most of the wonders that make living in Santa Barbara so desirable. Often people talk about the high price of real estate. It is true, homes, condos, and even mobile homes are pricey. Do you want to know why homes for sale in Santa Barbara are expensive? Just read what this Santa Barbara resident has to say. It is hard to put into words the sense of comfort, geological and architectural beauty, cosmopolitan feeling, and sheer sense of living that is Santa Barbara. If you love the outdoors, the feeling of salt infused fog in the morning and a lifestyle that can be physically and intellectually nourishing or a great place to raise a family, then Santa Barbara does or will make you smile inside. Santa Barbara has many diverse neighborhoods. The downtown area is home to an Urban culture, The Riviera has its hillside homes and epic views, Montecito is rich with grand estates and a rural feel, The Mesa caters to the beach life. Recently Sold Homes and more. Garrett McCaw and Joe Parker lead the Santa Barbara Group bringing in over decades of local experience. 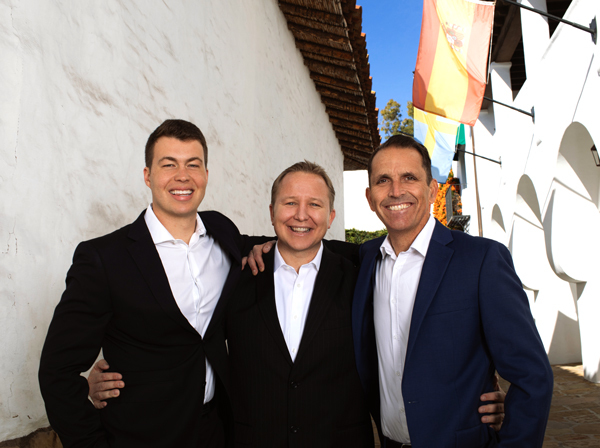 Their clients’ rave about them for good reason, Joe and Garrett know real estate and are passionate about helping people find just the right home and neighborhood. They don’t just want their people to be happy, they want them to feel thrilled, safe, heard and well-represented. If you find a property you like, Garrett and Joe would be happy to get you more information or set up an appointment to see the place. You will find contact info at the top of the page.